HSH Prince Albert II of Monaco Participates a Meeting in Luxembourg. 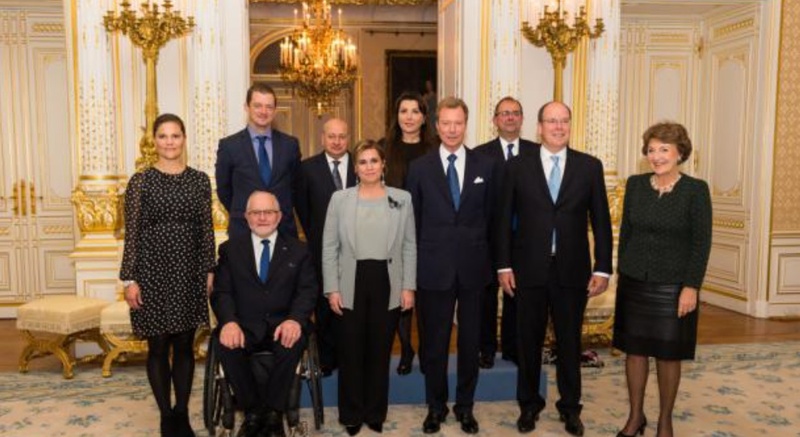 On Thursday, October 15, 2015, His Serene Highness Prince Albert II of Monaco arrived at the Palais Grand-Ducal in Luxembourg to participate in the International Paralympic Committee’s (IPC) Biennial Honorary Board meeting hosted by Her Royal Highness Grand Duchess Maria-Teresa of Luxembourg. Other royal guests attending today’s meeting included His Royal Highness Grand Duke Henri of Luxembourg, Her Royal Highness Crown Princess Victoria of Sweden and Her Royal Highness Princess Margriet of the Netherlands. Previous (VIDEOS) The Swedish Royal Court Releases New Photos of HRH Prince Nicolas of Sweden’s Christening. Next HRH Princess Sofia of Sweden is Expecting Her First Child.